Rhonda and her Chinese Calendar Tale buddies are in UK bookshops now! Foyles, Blackwells, Daunts and Waterstones are just some of the famous UK bookstores where Rhonda, Temujin, Oswald, Run Run and Chester Choi are now sitting on the shelves! 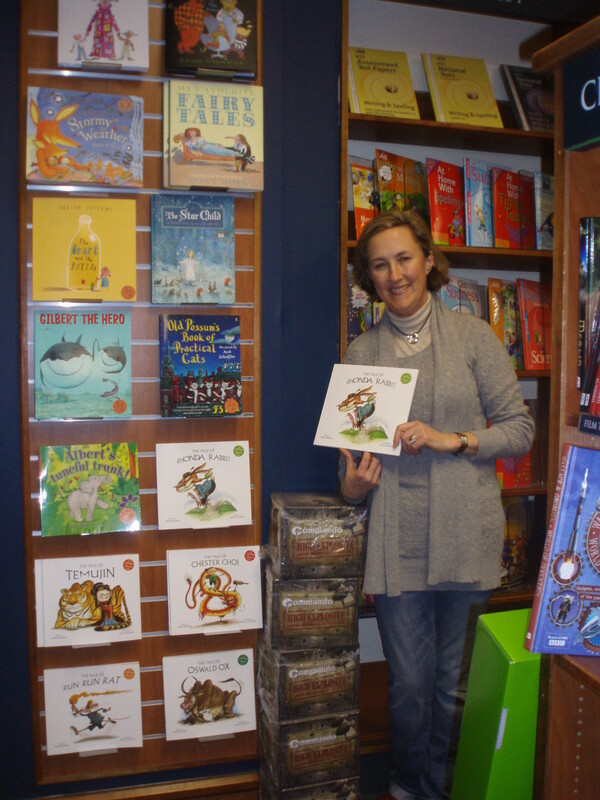 Here I am in the famous Blackwells Bookshop in Charing Cross Road, London with a wonderful display of all my books!